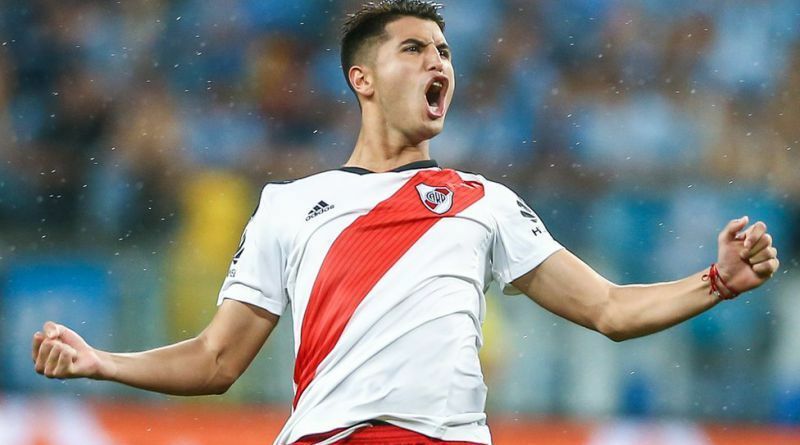 River Plate star Exequiel Palacios is a target for Inter in the summer transfer window. According to the football transfer rumours in Italian media, Inter Milan are leading the race for River Plate midfielder Exequiel Palacios. This season, Palacios has scored one goal and provided 4 assists in 16 appearances for River Plate. The 20-year-old has been touted as one of the brightest young prospects in Argentina. Exequiel Palacios has represented Argentina at Under-17 level, winning 10 caps and scoring one goal, before making his senior international debut in September 2018. As a member of Argentina national football team, Palacios won two caps. Inter Milan have built a reputation for recruiting young talents, predominantly targeting those with sell-on value and immense potential. The report claims that Inter Milan have extensively scouted Exequiel Palacios and are considering a move for the midfielder. Exequiel Palacios would provide a good variety to Inter Milan’s midfield. It would take a huge offer from Inter Milan to prise the 20-year-old midfielder from River Plate. Undoubtedly he would be a fantastic recruit for Inter.